One of the things a confident person is able to do is make decisive decisions and feel good about the choices they've made. But sometimes the trickiest part is actually being able to follow through on those decisions and this is where a lot of people end up getting stuck. They know what they want to do but they don't seem to be able to take that necessary step to put the decision in motion. Even when you know it’ll be a really good thing for you to do, you don’t seem to make yourself actually do it. It’s confusing, isn’t it? Being in this state might also trigger your self-doubt and make you wonder if you're capable of actually achieving your goals or make you wonder if you should just give up. This agonizing over decisions can then lead to a lowering of your self-esteem. It also wastes a lot of energy going around and around in circles never seeming to get anywhere. It doesn't have to be this way though. The solution is to gain an awareness of what you're really struggling with. It's not taking the action, it's with the decision. Once you know why you're hesitating to follow through on the decision, then you're able to work through it. 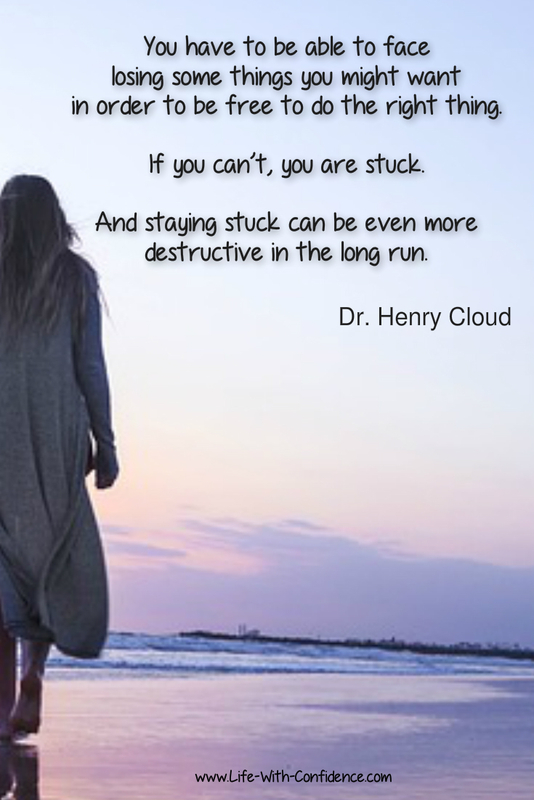 When I was reading the book, Necessary Endings by Dr. Henry Cloud, he described a number of issues when dealing with internal and external resistance and they seem to also provide some of the answers to this problem. 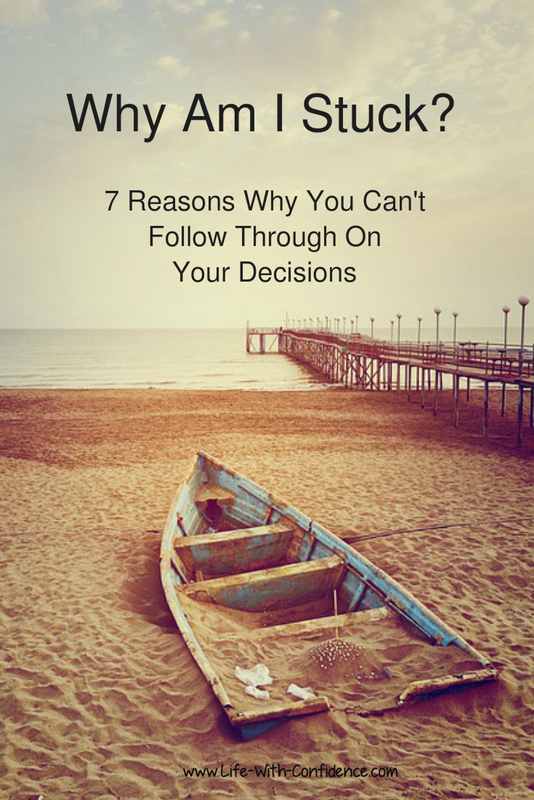 So, if you're feeling stuck, here are 7 of the most common reasons for hesitating with following through on a decision. You could be very confident in the decision you've made but not feel comfortable with the thought of "doing" the decision. The very thought of taking action can trigger a sense of anxiety. For example, you might fear the reaction you'll get from others. This could be something like you need to let your friend know you can't help them move this weekend. You might know this is a necessary decision but when you think about speaking to your friend you then start to imagine how they're going to respond. They might be very upset, or disappointed, or angry. Whatever their reaction, you probably don't want to let your friend down either and you might feel guilty about it. So, the thought of having the conversation will put you in a state of anxiety and you won't want to do it. You might not know exactly how to do it.You might have a general idea of what needs to be done but not a clear picture of how to do it. This not knowing will make you feel anxious. You might feel overwhelmed at the thought of doing it. Big decisions like changing jobs or moving or letting go of relationships are by their very nature overwhelming. 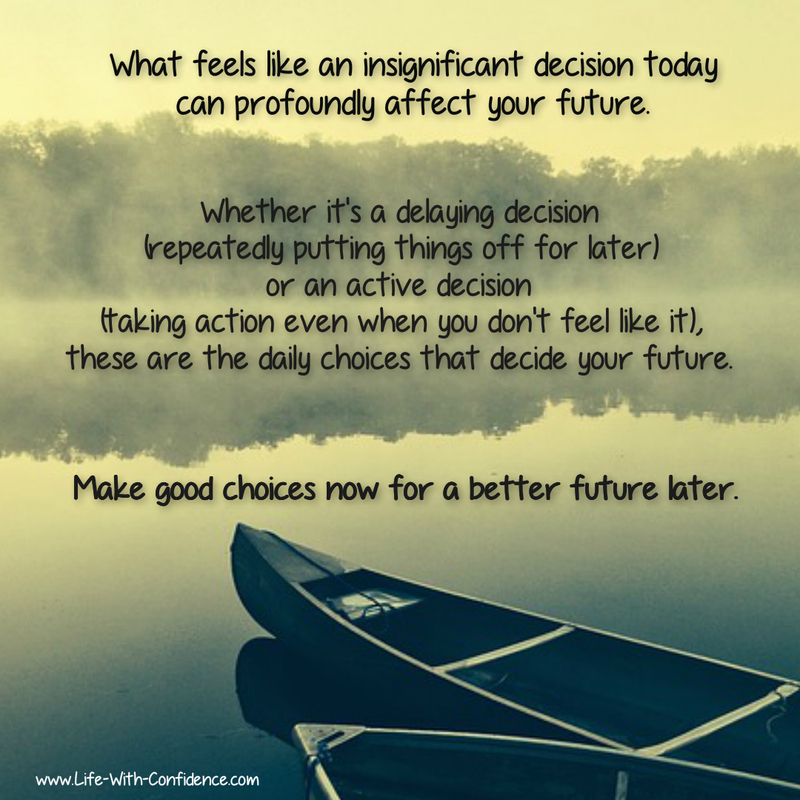 Even small decisions can also cause you to feel overwhelmed at the thought of the change it'll make in your life when you actually go through with it. You might worry that it's the wrong decision. Or it might mean you have to step out of your comfort zone. There's lots of different ways that certain decisions can trigger fear within you and fear is a huge factor in causing anxiety. It's important to understand that you are feeling anxiety otherwise the temptation will be to procrastinate or put off doing what you know needs to be done. To know if it is anxiety causing your self-doubt and hesitation, pay attention to how you're feeling inside. Is there any tenseness anywhere? Do you feel suddenly tired when you think about the situation? Do you feel like escaping or procrastinating? Do you feel knots in your stomach? These are all signs of anxiety. One way you might be tempted to deal with your feelings of anxiety is to come up with a reason for why you shouldn't take action.You think, "It doesn't need to be done right now" or "I'll do it after..."
This can happen even in situations like decluttering your home. You're cleaning out your closet and you're considering tossing something. This can trigger anxiety in you and you'll then tell yourself, "I might need it. Better keep it just in case I might use it in the future." Anxiety is an uncomfortable emotion and this thought process allows you to avoid dealing with your discomfort. You think you've made a decision but all you've done is put it off until you find that item in your closet again. Pay attention to what you're telling yourself and you might discover you use this word more than you ever realized to avoid dealing with your anxiety about whether something is the right thing to do or not. Listen for sentences like, "I might need it" or "Things might change". Using the word "might" will relieve your anxiety in the moment but it will only be temporary. It's also preventing you from actually acting on your decision. Telling yourself, "I’ll do it later" or "I'll do it when..." – this again is done to relieve your anxiety of why you’re not taking action or to put the issue off until another time. If you catch yourself saying 'later' then also ask yourself when later will be. Set a date. Be specific. What is the real reason you're waiting? Do you really need to wait? Would it be better to act now even if you don’t have all the necessary info? Would it be better to act now even if it's going to make you uncomfortable dealing with this situation? 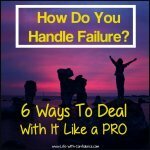 Of course, you may also decide it really is better to be patient and hold off on taking action but you need to be very aware of why you're waiting and that you're not just putting it off because it's a difficult situation. What is the cost to continue waiting? What are you putting on hold by waiting? Are you lengthening the time you're going to feel uncomfortable because you're waiting for the perfect time to do it? Try the Weekes Method - with this method, you allow yourself to feel the anxiety which allows you to process the feeling. If you allow yourself to feel the emotion fully then it's far less likely to send you into procrastination mode. Imagine yourself in the future with the problem still in place. If you think about being five years in the future and you’re still in the same job or same relationship which is destroying your soul, aren’t you more motivated to find a new job now rather than putting up with your current situation? Imagine yourself in the future living the life you want. This can also be a way to move past the resistance and to convince yourself to take that important step to move yourself forwards. Make sure you're not letting people pleasing actions determine your future. 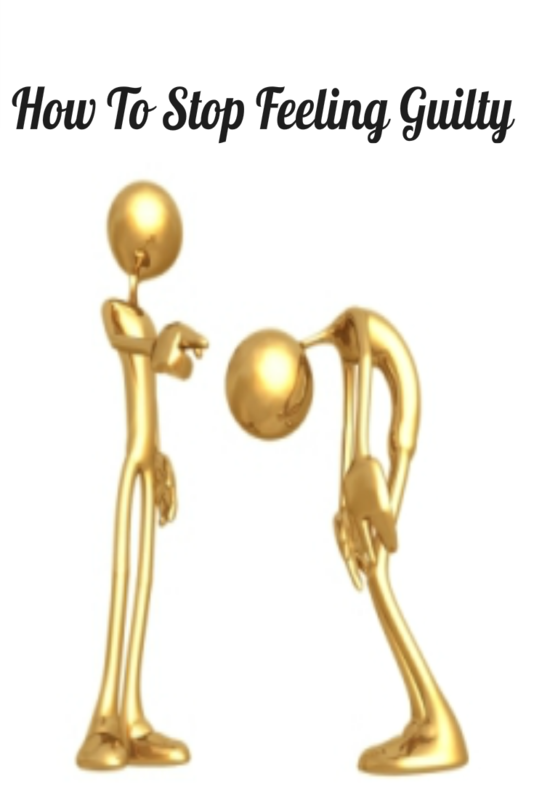 Being a people pleaser will definitely affect your ability to follow through on your decisions. Being able to maintain your own priorities and boundaries and not getting sucked into doing everything for everyone else are important skills to learn. It's easy to get stuck because you want two things but it's a situation where it's not possible to have both of them at the same time. For example, you want a better relationship but you don’t want to leave the one you’re in either. By hanging on to both, it prevents you from having either. You want to quit doing something (being part of a club or membership for example) but you don’t want to have to deal with the conflict that leaving might bring up. You want to work from home but you still want to be able to hang out with your co-workers during the day. You want to eat whatever you want and still fit in all your clothes. You want to move closer to work but you don’t want to leave the house you’re in now. You want to get back into your artwork but you also want to watch NetFlix. 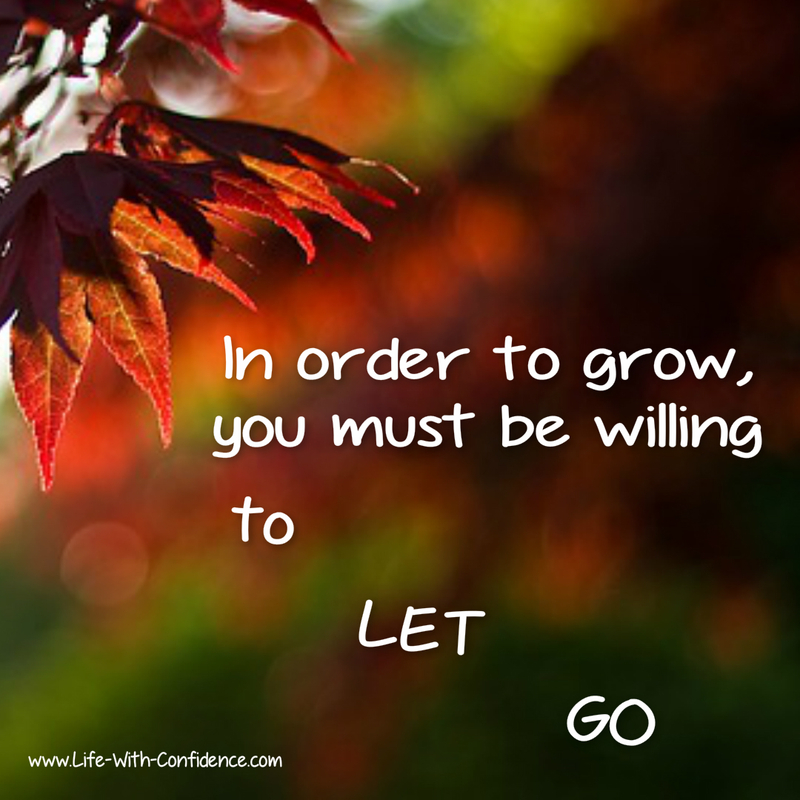 In order to grow, you must be able to let go of whatever is preventing you from moving towards the life you want. Sometimes, it's also a matter of letting go of what you want right now in this instant so you can work towards what you want in the future. If you focus more on where you want to end up, you'll be more likely to be able to ignore the distractions that call for your attention. You're probably also going to need to take some time to consider what is the most important to you and what connects most closely to your values and desires for your life. To solve this one, you need to accept that you're going to need to let go of one so you can go for the other. This is another area where you’ll find anxiety at work and you'll need to be aware of how that's affecting your ability to take action. This is another situation where you might want to try using the technique to imagine yourself a year or even five years in the future still dealing with the current issue. How do you feel about that? Is it overwhelming to think that you’re still going to be in the exact same position as you are now? If it is, it's time to make that decision and let the thing that’s not working go. This is when you've made a decision but you're only willing to accept one very specific outcome. Let's take the example of buying a car. You know you need a car to be able to get to work. You really like the red sports car at the local dealership but they want more than you can afford. Instead of focusing on the big picture that you need a vehicle, you get distracted by wanting that one car only. You get yourself into the mindset of thinking that is your only acceptable option. There's no other solution except that one specific car. Yet, if you can't afford it then it means that being too attached to a specific outcome will mean that you'll get stuck and won't be able to move forwards. You won’t go look for a car somewhere else or choose a different model because you want the red sports car you see as you go to work every day. It means that you could be missing out on some great opportunities for something that might work better for you. But mostly by being too attached to one specific outcome means that you end up stuck and can't take action because you're unable to see any other possibilities. You've made the decision but you won't be able to put it in motion until you're more open to other possible solutions. This one happens when you're in a situation that you just want out of or want to get rid of in some way. Whether it's because you have a nasty boss or you're in a draining relationship or you're living in an environment that's driving you crazy, you want it to end. So, you focus on getting rid of what's upsetting you. 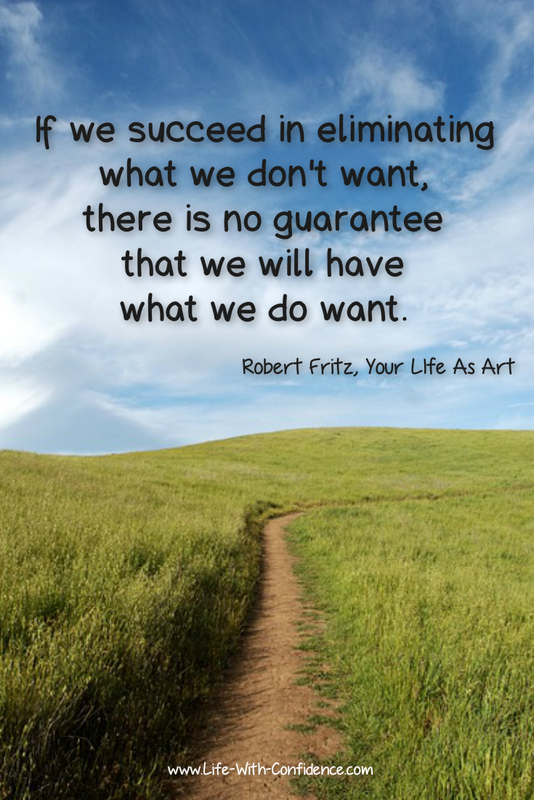 The problem is that you're not considering what it is that you do want. So, the solutions you come up with can be extreme or end up being the wrong decision in the end for you. The reason you'll hesitate on acting on your decision in this situation is because part of you will wonder what happens once you get rid of "it"? Because you're not focused on a direction or plan, there's a sense of "nothingness" when you think about the future. You just know the "it" is gone but what do you have instead? This will create a sense of anxiety within you. You'll probably also trigger a sense of loss within yourself. Think about what it is that you want. What do you want to create in your life? This will allow you to make far more fulfilling decisions for yourself instead of having a knee jerk reaction to wanting something gone from your life. Losing things is not a good feeling. It doesn't even matter what it is, if you think about it as "losing" it or having it taken away from you, you'll instantly become much more attached to it. I have this happen to me every time I donate things. I don't want the item anymore but as soon as the donation truck is rumbling down the street, I suddenly have this pang of regret and wishing I could have it back. Strike it up to human nature and the fact that humans don't do well with loss. You think about leaving your job but then you start thinking about all the things you’ll miss out on if you leave. Things that you hadn't considered before may suddenly become much more important simply because you fear losing them. Or if you want to end a relationship, you'll suddenly start remembering all the charming and fun things about that person while ignoring all the things that upset you greatly whenever you're around that person. It's the fear of losing something that causes you to stop looking at the big picture which is that there are serious issues that are causing you to want to leave in the first place. You’ve become invested in something or someone so you start to focus on the one part you like and ignore the negatives that make the good parts not worth having. Cloud suggests looking at the situation with both its negatives and positives as one. Don't just look at what's good or what's bad. You need to see the situation in its entirety so you can make a more effective decision for yourself. Accept the fact that some decisions are difficult. Ending things is also a courageous decision you sometimes need to make. It takes bravery and perseverance to follow through on hard decisions. Also, don’t worry if you hit an obstacle on the way of change. Don’t take it as a sign that you shouldn’t be taking the action. Take it as a sign that you’re making change to open yourself up for what you really want. Focusing on how hard or how long something will take rather than focusing on the end result or the process itself will also cause you to hesitate on following through on your decision. 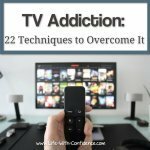 If you focus on how hard it will be then you’ll be far more likely to choose something like watching tv over actually working on your goal. You’ll take the easy option. That’s human nature at work. Stay focused on what you want to achieve or stay focused on your system. When self-doubt starts to creep in, it might be tempting to ask others for their opinion as a way to potentially talk yourself out of taking action. It goes back to point number one that anxiety will sneak in there and your brain wants a way to deal with that feeling so it'll try to convince you to not do it. There may also be people who will be affected by your decision and they may not want the change to happen so they will try to stop or block you. They’ll start telling you all the downsides and try to discourage you from taking action. They're not interested in what's best for you or the situation, they're only looking at what they might lose. For the people who aren't willing to listen at all, it'd be better to work around them. Their plan is to derail you. Don't let that happen. For other people, they'll be open to the idea if you can explain it in a way that they can understand and will hopefully be supportive. The trick though is to figure out what type of person you're dealing with and don't waste your time on those who will never say anything except "no". But, the key is to stay focused on your own goal and not be put off by people who are fearful of change. If you find yourself struggling to take the steps you know are necessary for a particular decision, then take some time to consider why you're really hesitating. By taking this time to question what's really going on could save you from making a mistake or putting up with a bad situation longer than you need to. But most of all, it'll allow you to make the most effective decisions for yourself but also follow through on those choices and that's what being a confident person is all about. 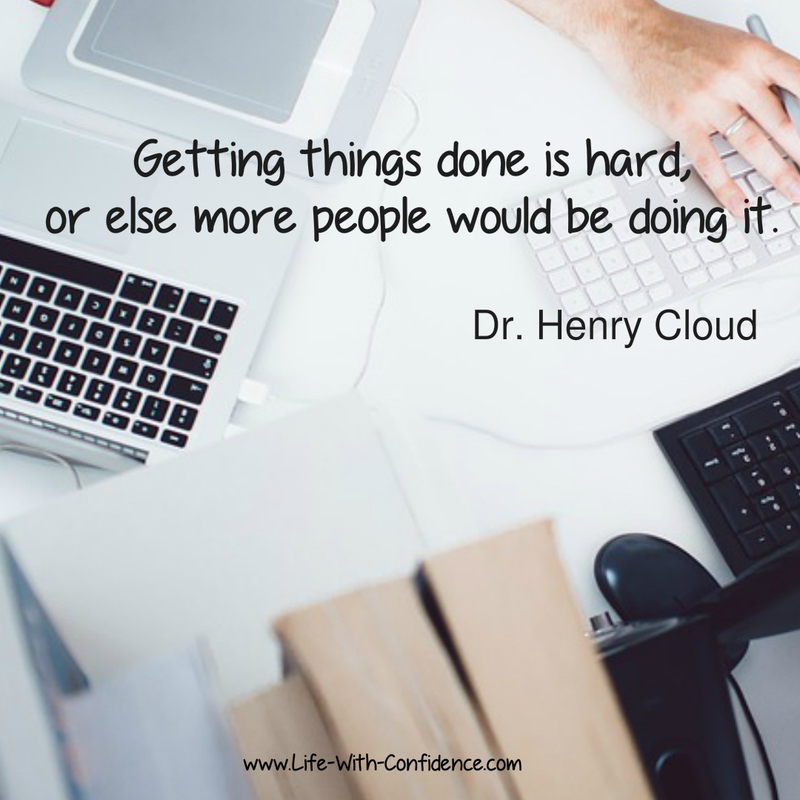 The ideas for this article come thanks to Dr. Henry Cloud and his book, Necessary Endings. His book is about why endings are vital to your life. As he says, "Endings are not only part of life; they are a requirement for living and thriving, professionally and personally." "Without the ability to end things, people stay stuck, never becoming who they are meant to be, never accomplishing all that their talents and abilities should afford them". He has lots of great advice in his book about why we find it so hard to end things but also how to do it in a way that helps everyone involved. Worth a read. 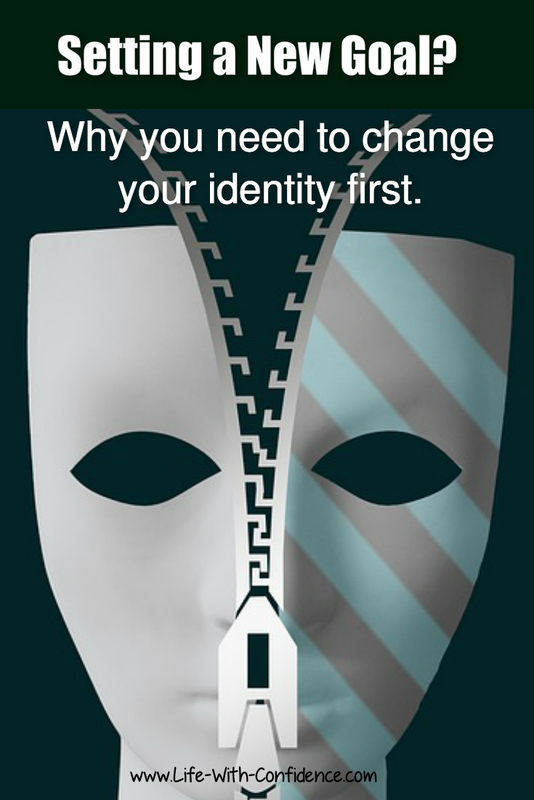 Setting a new goal - to be successful with your goals, you need to change your identity first. Do you fear making a life change? 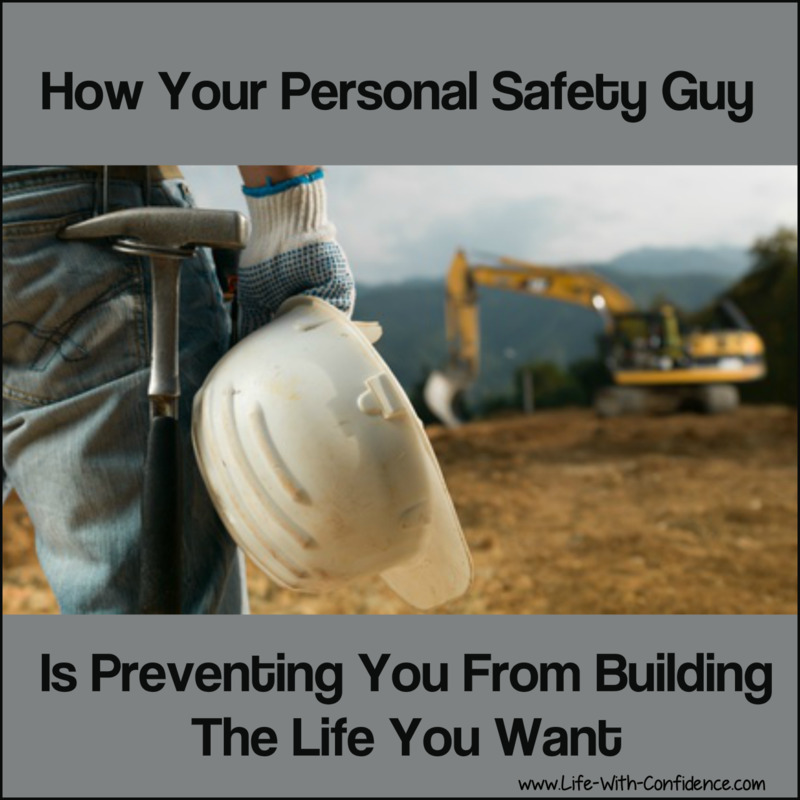 - how your personal safety guy is preventing you from building the life you want. What do you think about what I've just discussed? Share your thoughts and ideas here. No need to register or sign up for accounts. Just enter your thoughts in the text field. There will be a time delay before you see the comments as all postings will be checked by a human (me) prior to being published to eliminate any Spam.